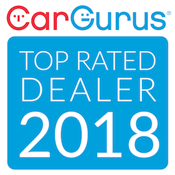 Thank you for taking the time to visit our website to see if we have the next car for you! Tommy and Kris Dail have over 75 years of experience in the Automotive Business and are proud to be located on Highway 13 in Farmville for over 20 years and counting. We are now a 3rd generation dealer! Through all of our experience we have separated ourselves from Buy Here Pay Here dealers by taking pride in selling a higher quality product. Most of our inventory is made up of local new car trades that have received an extensive inspection by Tommy himself before they ever end up on our lot. We believe in always advertising the price and mileage on our vehicles and try to provide you with as much information as possible so you can make a decision that is best for you! For more information about our on lot financing program, please visit our financing page. You can also fill out an online credit application to get the process started. Or, check out our dealership hours located above or feel free to stop by our office to find your next previously owned vehicle. Once again, thank you for stopping by and please let us know how we can be of assistance. We offer Bank & In-House Financing. We provide a CARFAX report on every vehicle we sell.